@Carlita said:..... I dont remember saying this. At least this isnt my "type writing". I read it. I'll dig it up its somewhere before my posts. This part of the conversation began, I think, when I commented that Buddhists sometimes fall all over themselves saying there is no God (which, btw, I now agree with, or that if he does exist he's a deist god), but then profess to believe in all sorts of spirits (devas and all sorts of other celestial beings that have never been proven). Yes. I was explaining from a western perspective since I was born, raised, and lived in the "western" world and culture all of my life. Christianity, Islam, and so forth is a very high and dominate influence here in all aspects of spirituality. For example, I went to a Pure Land temple to visit and the teacher said they rearranged the temple to accommodate to those transitioning from christian customs to buddhist. They were around the corner from a Universalist Unitarian Church that holds different multi religious celebrations. When we broke off from Britain as protestants, gradually we started having a more literal view of god because in Catholicism it is mystical and "we don't like what we don't understand." The protestants changed and took things out of the bible and its influenced our society, politics, and local norms ever sense. It is purely cultural. I believe in spirits because I was raised and saw and experienced spirits in my lifetime. They are souls of deceased individuals (probably in samsara but I never heard it described that way) where as the deity-god is not a person but an entity. When I was at the vietnamese temple, we were celebrating reverenced for our loved ones (can't remember the name off hand). That caught my soul 100 percent. Whether they believe they are actually spirits or reverence to the spirit (the life and memory) of a person is besides the point. They also believe in devas and so forth. I asked about the devas question before taking the refuges. They said they are aspects and stages of the mind. I don't think the translation between languages let the master full understood the question since he isn't christian. Nonetheless, it gave me a perspective that I was familiar with with the realms in Nichiren Buddhism. Westerners, if one likes, or those predominate in christian areas when they convert, they bring their cultural outlook on Buddhism. It is not intentional. You replied that, "Regardless of one's faith in the validity of devas, I think devas should, at least as an intellectual exercise, be examined as allegory to distill the practical advice they offer." That wasn't me. There was another reply explaining this. Okay, although how does an allegorical deva offer practical advice? So I asked, "Do you think devas, demons, and spirits literally exist." With the emphasis on LITERALLY exist. I do believe spirits literally exists. I'm not familiar with demons and devas to understand them apart from what master teacher told us (above). I wouldn't know how to go about it but I'm focused on the jewels, truths, paths, individual practices, and service to people and Sangha. Then you asked me to "Give me some context". Context? I asked if you thought devas (etc.) literally exist. Either they do or they don't. I can see Donald Trump (sort of a Mara). You can see Donald Trump. Brad Pitt can see Donald Trump. Kim Jong-un can see Donald Trump. Khomson Cherdsungnoen can see Donald Trump. Now we may not want to see him, but we can see him, touch him, smell him. He literally exists. I wouldn't know yet. I'm still learning about what they are. I learned about them from a Hindu perspective from another site that's religious in nature. There are a lot of Hindus there. The Buddhist view, I don't know. Also, I'd assume it depends on the culture. I do believe bodhisattvas exist. Kuan Yin does not exist...at least any longer. She (or he, depending on how you look at that being) may have literally existed once, but no longer exists. Buddha does no exist. I believe and assume he once did. But he no longer does. His principles do, but he as a being does not literally exist, which is why many (most?) Buddhists admit that it does no good to pray to Buddha for granting some wish/hope, because he can do nothing. Yes. He no longer goes through samsara, so he has died. Many Buddhas died. I'm still learning what it means for those who have not to be still here. I don't know how Buddhism defines reincarnation and how its apart of the religion in general. Now, if you want to only say that beings such as Mara or Kuan Yin are allegorical, within your own mind, then that is fine. I have no problem with that. Similarly, if you want to represent the results of karmic action as Buddhist heavens and hells, that is fine, but if you want to say there is LITERALLY a place that is Buddhist heaven or Buddhist hell, then I want you to prove that. Mara, I read about when someone on the other site said there was a creator in Buddhism and I told him that Mara was an incarnation of Brahma to trick The Buddha into thinking impermenence does not exist (eternal life). The Buddha debated with Mara and won the debate. He also denounced a personal creator or god. The heaven and hell are parts of the mind. That I read in the suttas. They aren't real places. If they were, like many spiritual truths, the fact is not everything can be explained. That does not mean it is not true or it does not exist. Existence doesn't depend on our knowledge of its existence. I like Lobster's answer too. I don't know about Bodhi Jesus, though. I don't understand how one can compare jesus being tempted literally by the devil to disobey the creator and The Buddha being tempted by Mara and incarnation of Brahma (or Brahman, can't remember which) with whom all refers to the mind's temptation and not the flesh as in biblical scripture. Why do I think this is all important? Because I believe it is important to separate Buddhist principles from cultural principles. The monks at my Theravada temple discussed that with me, but then went on to tell me they believed in "phi" -- ghosts. Well, if a Buddhist is going to believe in ghosts, then I guess a Christian can believe in the holy ghost. I disagree. I feel cultural principles and "Buddhist" principles complement each other per their differing countries. The Sangha I am at when we do a full bow, we do what Muslims do touch our head to the ground. Japanese prostate. The intent is reverence. Nichiren Buddhism revere the physical Dhamma as most temples have statues depicting the physical Buddha. Both are not worshiping the scroll and cement. It's a point of reflection. How does culture change Buddhist principles unless you mean the religious culture native to that country before Buddhism came? I have heard quite a few Buddhists purport that Buddhism is a more scientific religion than Christianity. Okay, then let's be scientific about it. Otherwise, like another thread asked -- is Buddhism just like all the rest? I never got that impression with Buddhism and scientific. I do recognize online many atheist like Buddhism because there is no creator god. What they are doing is following a religion based on the disbelief of their former religion rather than Buddhist principles regardless their former faith. That, I can see why others have an issue with. It takes time to convert. I was never indoctrinated so I don't know the experience of religious conversation only cultural. But, of course, culture doesn't define Buddhism just compliments it depending on what the culture teaches. For example, western buddhist may not put too much emphasis in revering the dead during Ullbana (I think?) since christians see it as "praying to the dead" and needing evidence for everything. While Vietnamese go all out in ancestral reverence. Ancestral reverence is a Buddhist celebration and taught in the suttas. Just many cultures have their native practice reflected on Buddhist teachings the foundation. Take your time. I'm not expecting you to reply to everything. @Carlita. What you learn within Asian sanghas and from Asian teachers is best kept private. I have spent my entire practice life around and with Asians. That is where I ask questions. I know few western buddhists and most of them find me sadly wanting. I have also been asked if I find it hard to breathe with my nose so far up the back passage of Asian teachers. What types of things are considered private? I know we have Dhamma talks every Wednesday, of course celebrations, and the monks said I can spend the night if I want to help out especially during celebration days. As for teaching us individually, I don't know if the monks do that. The master teacher travels back and forth out of state. I contacted him and he was on his way to California. In western culture, the need-to-know is very heavily emphasised because we depend on books for knowledge rather than experience. Anything written is truth and anything said is questioned. So, it would make sense that after reading books that ask the people who practice to confirm what they read is true and when they question what you tell them, they look to the book to see if it correlates. Don't ask me how I know this. I only practiced Paganism for a short while and Catholicism for four of my adult years. I don't have qualms with either religions but both have a secrecy vow too. What I meant is what you learn directly from the teacher. 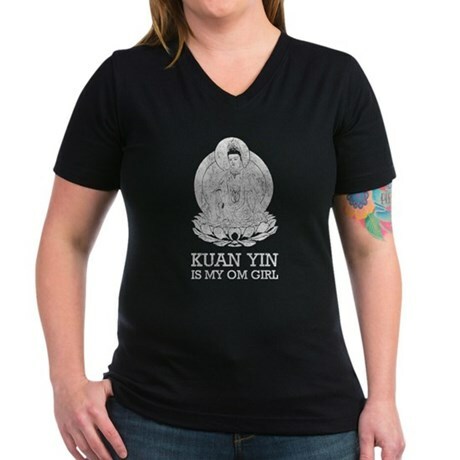 As to Kwan Yin(Quan Am) some boat people who escaped from Vietnam very much believe she not only exists but was instrumental in their escape. As you approach their house the is a poured concrete statue of Kwan Yin. As the family has been very successful they have opened their home so that sincere people can come and learn. Hmm. I did see two other statues that weren't The Buddha. Forgive my rudimentary question, but was this before the Vietnam war? Is Kwan Yin someone who existed in our time period or did he escape Vietnam (?) for another reason? Kwan Yin is a deity/goddess. @Carlita Kwan Yin is another manifestation of Avalokitesvara, one of two of Amida Buddhas main Bodhisattvas, whom arose out of China. The gender switch happened there. Kannon is another manifestation from Japan; my icon. He is from Japan. Very androgynous. Does he have an equavalent to any of the Pali manifestations? Im not familar with Japan, Im assuming China, Japan, and other country's manifestations have a equavelent to manefistation or dieties in India? Or are they separate manifestationz in their own respective countries? Haha. I was way off. I dont remember saying this. At least this isnt my "type writing". I read it. I'll dig it up its somewhere before my posts. Another poster clarified that it was his words in a conversation with you. @Carlita. If you want the full and accurate story here is an excellent source. "Bodhisattva of Compassion" by John Blofeld. A well known British scholar and author alas no longer with us. His particular speciality was Buddhism in China prior to Mao Zedong. In my travels in the hinterlands of Sri Lanka I found one home with a statue of Kuan Yin. But she is not a part of Therevada. Of the 327 forms of Avalokita only one is female. That is Kuan Yin. Please find qualified persons to guide you. Its very important. Hmm. I saw the book at my nearby bookstore. I'll look it up on Amazon. There are too many Bodhisattvas to count. @vinlyn I have heard quite a few Buddhists purport that Buddhism is a more scientific religion than Christianity. Okay, then let's be scientific about it. Otherwise, like another thread asked -- is Buddhism just like all the rest? Religiosity is declining at a rapid pace. Especially with technology as it is nowadays. But do the two have to be mutually exclusive? I read the Scientific American, the Astronomy magazine, and watch tons of documentaries. I like knowledge and learning and knowing...but when it comes to the universe as a whole and my part in it, my vehicle of choice is the nembutsu. Just because the F-word has a bad rap in Christianity does not mean it is totally harmful. It can be utilized mindfully. Based on my own experience this practice does generate merit, just in different forms. Amida Buddha is real and present throughout the whole universe. He is in me and you and everything is in him. Lifted from the book "Just As You Are" by Kaspalita Thompson and Satya Robin. Buddhism appeals to the scientific minds in the West as it can be intellectual, analytical, and rational in approach but this is only one side of the coin. Buddhism is not only head, it has a heart. The Pureland school celebrates and studies the heart of the Buddha which is wise, emotional, creative, and kind. Some styles of Buddhism run the risk of overemphasizing the practice of meditation which can reinforce concepts of self-power and hierarchy. This heart is what the nembutsu taps into. Pureland Buddhism is an acceptance of our inherently limited nature as human beings. We will never know everything; we will always be ignorant to the workings of this universe. So it doesn't matter how much we know; instead it is how we feel. And I feel very calm within the nembutsu. @Carlita I replied on my phone earlier so kept it short. Avalokiteshvara (how long it took to memorize that spelling!) is the original Sanskrit name of the bodhisattva. It is interesting that deities take on different forms in Buddhism, as compared to Christianity where things remain pretty constant. Yet Buddhism has proliferated in different cultures and countries, whereas Christianity was monopolized/canonized by a select few. In Buddhism, the deities were interpreted differently to serve the needs of the people and culture. Is this bad? Maybe. But without 2500 years of cultural influence Buddhism would not have survived today. Everything needs revitalization and acclimation or it will not subsist. Of course, it may be a matter of Mahayana versus Theravada. Buddhist deities are real in what they represent and in their merit. How do we measure ourselves in this ephemeral existence? By the merit of our actions, not the conditions of the self. I know the merits of Avalokiteshvara/Kannon/Kwan Yin, though I do not know their conditions of self; but that is regardless. I know the merits of Amida, though I do not know his condition of self. This ignorance is put aside in Pureland practice; don't focus on what you do/do not know, focus on what you feel intrinsically. @Kannon said: This ignorance is put aside in Pureland practice; don't focus on what you do/do not know, focus on what you feel intrinsically. I like that. With me, I jumped only to two Buddhist sect within Mahayana, Tentai and soto Zen. At first, I read all about Zen since that's the first I learned about Buddhism years ago. I think going on five years ago, I was introduced to Nichiren Shoshu then SGI. Now, I'm back to Zen. It's not soto Zen. I don't know if you'd call it "Vietnamese Zen" but I read that buddhism in Vietnam is a mixed between a couple of other religions. So, it's not "pure" Buddhism, if that means anything. When I was there, though, I felt at home. So, yeah, it's a feeling thing. Like everything is true. No metaphysics just these teachings are real just as the laptop I'm typing on. I don't have to do hop scotch and jumping jacks to make things real. I visited a Pureland Temple but never went to any of the services. If I'm back in that area, I'd probably go. Master teacher said to wear my robe when I go to the monastery. Is it any monastery or specific to the tradition I'm in? Do Pureland Buddhist have robes for lay practitioners? How does that work, you know? @Shoshin. They can be found outside of the mind as well. Duz they ride dwagons or unicorns or just float on clouds? These devas live in the air, free of all difficulties. They just float on clouds. This discussion reminds me of conversations I used to have with my Quaker friends. They would talk about "the God within", rather than thinking of God as "out there" - so it was about a connection with something deeper within themselves, sort of. Of course, the scientific perspective of air is a gaseous layer of molecules of oxygen, nitrogen, carbon dioxide and various trace gasses wrapped around the earth. Whereas a cloud would be a mass of water vapour floating in the air. The point is, a lot of these descriptions, assumptions and visualisations are pre-scientific. People cling on to the old, poetic descriptions while they may contain very little of truth. People don't see Christian heaven as being up amongst the clouds anymore either, so why should the belief in Devas in a cloudy realm persist against any notion of evidence? We can't categorically state they don't exist, and while there seem to be some references in the sutra's, we can't test these teachings. In the spirit of the pragmatism of the Buddha's teaching I find it hard to definitively believe in deva's, and anyway believing in spirits has significant downsides. But I don't see heart-full Buddhism and pragmatism of this kind as being mutually exclusive. There is much in the world to love and to celebrate, many outlets for being creative. The natural world is revealed to us in much more beauty and detail today than in any previous era of man's existence. The stars and the real miracles of the astronomical universe are a source of great wonder. The mystical of all religions go to the source with relish. Meanwhile the outer form their differences. ... When I was there, though, I felt at home. So, yeah, it's a feeling thing. Like everything is true. No metaphysics just these teachings are real just as the laptop I'm typing on. I don't have to do hop scotch and jumping jacks to make things real. so why should the belief in Devas in a cloudy realm persist against any notion of evidence? Because Buddhism is not a materialist religion and there's no reason for it to change to one. anyway believing in spirits has significant downsides. I don't find that to be the case at all! I think Buddhism is different things to different people. Chinese or Tibetan Buddhism or Pureland seems to be a lot more colourful than say Japanese Zen, or even something new like Secular Buddhism. For me, it is one of the beauties of Buddhism that you can practice it as a very pragmatic, evidence-based belief. There is a link between people being spiritual in their beliefs and a higher incidence of mental health issues, according to a study done in the UK. They haven't sorted out causality but it's interesting. My own experience has been that believing in spirits stands in the way of understanding your own mind. If you have a certain experience in meditation and you chalk it up to playful spirits you may be missing significant opportunities for insight. @Kerome said:> My own experience has been that believing in spirits stands in the way of understanding your own mind. If you have a certain experience in meditation and you chalk it up to playful spirits you may be missing significant opportunities for insight. They used to think that schizophrenics had been taken over by evil spirits. Mysticism is but another term for what is imagined. Rather than ride the Love Train why not board Buddha's Freedom Express? Agree! which is why I don't think Buddhism needs to change any. You can still practice fine either way. There is a link between people being spiritual in their beliefs and a higher incidence of mental health issues, They haven't sorted out causality but it's interesting. It is interesting. Although the causality is really the most relevant issue. It's quite possible mentally ill people are simply more likely to seek out spirituality. Which makes perfect sense. The more people suffer, they more likely they are to seek a remedy. "Furthermore, you should recollect the devas: 'There are the devas of the Four Great Kings, the devas of the Thirty-three, the devas of the Hours, the Contented Devas, the devas who delight in creation, the devas who have power over the creations of others, the devas of Brahma's retinue, the devas beyond them. Whatever conviction they were endowed with that — when falling away from this life — they re-arose there. To deny devas is to deny literal rebirth as they are simply a product of rebirth in higher realms. Literal rebirth is a fundamental Buddhist teaching. @Kerome significant insight can be found through spirits. I think you are missing the point. It it not a mind issue but a heart issue. Buddhism is not just about the mind. It is also about loving kindness. My mind is not loving or kind. I can't tame a mind affected by something literally out of my control. So I focus on the heart. I let go of myself and find love in Amida Buddha, who is known as a cosmic Buddha. Infinite light and love. That is his name; that is what he is. Is he real? Guatama Buddha said Amida was a monk named Dharmakara. Guatama also said he himself was not the first Buddha. Another Mahayana distinction is the idea of the Trikaya. Which Amida and Gautama represent. Not sure about robes. Pure Land is for the common people, lay and monk, foolish and wise alike. I've never been to any Buddhist temple. A dress code would surprise me. But if you have robes already, why not wear them? I'm sure many temple websites have info. @Kerome significant insight can be found through spirits.I think you are missing the point. It it not a mind issue but a heart issue. Buddhism is not just about the mind. It is also about loving kindness. My mind is not loving or kind. I can't tame a mind affected by something literally out of my control. So I focus on the heart. I let go of myself and find love in Amida Buddha, who is known as a cosmic Buddha. Infinite light and love. That is his name; that is what he is. Is he real? Guatama Buddha said Amida was a monk named Dharmakara. Guatama also said he himself was not the first Buddha. Another Mahayana distinction is the idea of the Trikaya. Which Amida and Gautama represent. @Kannon you might want to look at Citta or "Heart Mind"
"The Pali-English Dictionary suggests citta is heart / mind, emphasizing it as more the emotive side of mind, as opposed to manas as the intellect in the sense of what grasps mental objects (dhammas). Citta is the object of meditation in the third part of Satipatthana, also called Four Foundations of Mindfulness." Believer in the deva (Religious Buddhist) ...Or non-believer in the deva ( Secular Buddhist) ..
"The proof of the Dharma is in the practice"
@Kerome significant insight can be found through spirits. I think you are missing the point. It it not a mind issue but a heart issue. Buddhism is not just about the mind. It is also about loving kindness. My mind is not loving or kind. I can't tame a mind affected by something literally out of my control. So I focus on the heart. Perhaps. I have some personal experience with western voice hearers - people who naturally hear the voices of things that are not part of the physical world - and with them, it often leads to mental instability, anxiety and so on, regardless of their beliefs. Beliefs in external voices - spirits or telepathy or other beliefs of that sort - generally leads to further problems and delusions. If you feel a vision was a spirit, it immediately arouses a number of questions, which are different and less self contained than the view that a given vision was generated by your mind. If you suddenly encounter a spoken word and no-one is around, you're more likely to interpret it as a spirit rather than a mind fragment. Yes, supposed visions of spirits can inspire, but on the whole I feel they are a negative impact on one's mental health. And that's from observing those who should know - people who actually have these voice hearing experiences. Thanks for that, it's interesting to see some material where "deva kings" are treated as literal characters in the sutras. Which mostly just diminishes my respect for the historical accuracy of the sutra's. I'm tempted to treat those as superstition and textual corruptions... it makes no sense to have sutra's in the cannon where the Buddha in the presence of witnesses talks with a being that at best can only exist in the mind. I guess I'm enough of a scientist to say 'hogwash' to the idea of spirits manifesting a physical body in the presence of multiple people. Or too much of a cynic and pessimist, maybe. Not at all. I think the world is wondrous and we should enjoy its beauty. But I also think science is the gold standard for telling us about the physical world, and it has shown us that a lot of the thinking of previous ages was built on superstition. There is no such thing as the evil eye, or fairies under the green hills of Ireland. We need to let go of such things, and accept that we live in a simpler, though no less wonderful world, and that it was likely always so. That those who sought to introduce sky dragons and heavenly emperors did so for their own reasons, but that they were inventions nevertheless. It's time to come to a cleaner, more reasonable world, and accept that it is how it appears to be, and not how some people tell it to be. There is an area of mystery, and it's in the depths of meditation, or what doctors call some people inducing psychosis. This is where we might contact the numinous, other spiritual realities. But these seem to me to be dimensions of consciousness, and whether we prior to death find only aspects of our own mind is still in doubt. There are fundamentalists on both sides. Belief is craving, and disbelief is aversion. As insight develops all these beliefs, disbeliefs, views and opinions become irrelevant. @seeker242 said:> Mysticism is but another term for what is imagined. And for experiences which cannot easily be named. @Kerome said: Not at all. I think the world is wondrous and we should enjoy its beauty. But I also think science is the gold standard for telling us about the physical world, and it has shown us that a lot of the thinking of previous ages was built on superstition. There is no such thing as the evil eye, or fairies under the green hills of Ireland. Science alone, is not responsible for those revelations. Better education, the expansion of society, and the evolution of thought also play a role. And Science (broad umbrella, isn't it?) itself is making new discoveries and revising older Theories, so to state it is a 'Gold Standard' is ever so slightly stretching it. We need to let go of such things, and accept that we live in a simpler, though no less wonderful world, and that it was likely always so. Who says so? You sound as if you're an authority on such matters, and you 'KNOW' whereas others merely 'Believe'. It's not your place to dictate what should and should not happen. That those who sought to introduce sky dragons and heavenly emperors did so for their own reasons, but that they were inventions nevertheless. It's a question of interpretations and personal perception and understanding. Simply because you can't see something, doesn't necessarily mean it doesn't exist. Ever actually seen a microbe in the flesh? It's time to come to a cleaner, more reasonable world, and accept that it is how it appears to be, and not how some people tell it to be. Dictate to others what the 'time' is and you bat on a sticky wicket. Who are you to be the dstroyer of dreams, if that's all you view them as? What skin is it off YOUR nose if others choose to call Gold, what you merely see as Lead? What 'seems' to you, is a result of your own perception. I really don't care what you base your perception on. Just as I really don't care what others (whose thoughts are diametrically opposite to yours) base theirs on. That's their bag to carry. And it's neither your presumed right or privilege to dictate they should put it down. I do try to make clear that what I state is often my opinion, shaped by what I have learnt over my lifetime. But I too have a right to a voice, and a duty to pass on what I see as beneficial and skilful. @Kerome. Please don't disturb yourself about how others see it. Concentrate on what brings a beautiful/meaningful joy to your life. Share your joy with others. No one need know you are a Buddhist. By whose authority do you presume you have a 'duty'? There is nothing in Buddhism that states, dictates, or instructs any follower of Buddhism - whichever path they might choose - that it is their duty to pass on anything, particularly that which YOU see to be beneficial? What is an elixir to some, may be a poison to others. Sure; you have a right. You are not beholden, or duty-bound to impress anyone else with any influence. Surely that is part of being part of an online community. If you don't let yourself be heard, particularly on areas where you have some expertise, then you're not really part of the community. And yes, that includes sometimes voicing unpopular opinions, or opinions which go counter to the opinions of others. It's not a problem, for me anyway. You seem to have an issue with people citing "life experience" as a valid reason for an opinion. I've merely stated some facts, lived experience, and opinion. I'm not interested in being convinced, or convincing others, I have good and sufficient reasons for the opinions I hold. I'm sorry, but read your posts again. What you say are your opinions really came across as definitive statements of fact, that broached no argument. They sound altogether too dogmatic to be taken as mere opinion. I was merely pointing out (as is my duty) that you cannot argue against the creeds of other people in such a vehement and insistent matter. You may well have fundamental reasons for believing yourself to be correct. That still doesn't make you 'right'. What I think I want to say, is that you should be prepared to relax your view in regard to what others put forward, and let them be. No matter how much you value your 'opinion' they value theirs too. To be contradicted by what you perceive to be inarguable 'facts' unsettles people and makes them uncomfortable. Rather than pushing your point, it would be kinder and more skilful to give people the leeway to be - and follow - what they want. You mean Sakka the deva-king? I don't see where it says he "manifested in a physical body". @Kerome said:...I guess I'm enough of a scientist to say 'hogwash' to the idea of spirits manifesting a physical body in the presence of multiple people. And that's the kind of statement I'm talking about. To say that, is frankly, just rude. I've just provided an alternate viewpoint, it seemed a good discussion, and I didn't see any posts of people taking exception. I've gone over my past posts, I don't see anything particularly pushy? Lots of "I feel", "I think", quite a few 'insightfuls'. People can take it or leave it, none of it aimed at any one person other than the brief exchange with @seeker242 ... it all looks quite reasonable to me. Well in order for the discourse to be remembered and passed along there would have to be a witness, besides the Buddha and Sakka. That means Sakka would have to make himself identifiable and understandable, to multiple people. Perhaps he didn't manifest physically, we don't know.